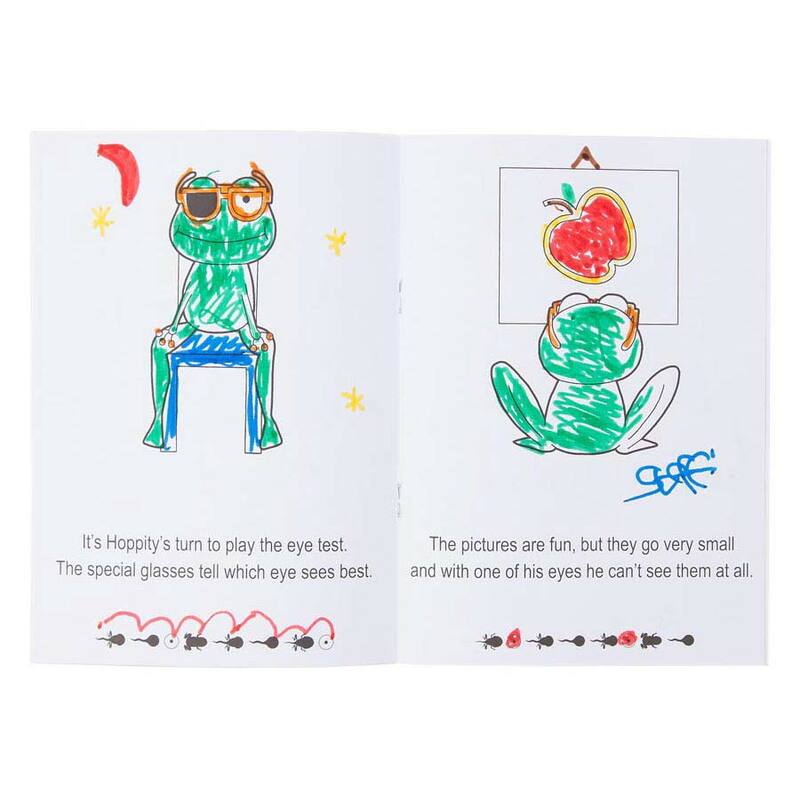 Hoppity Frog is a colouring and activity book designed to help children with amblyopia understand their patching treatment in a simple and fun way. Our Hoppity Frog amblyopia book now comes with a FREE set of crayons. 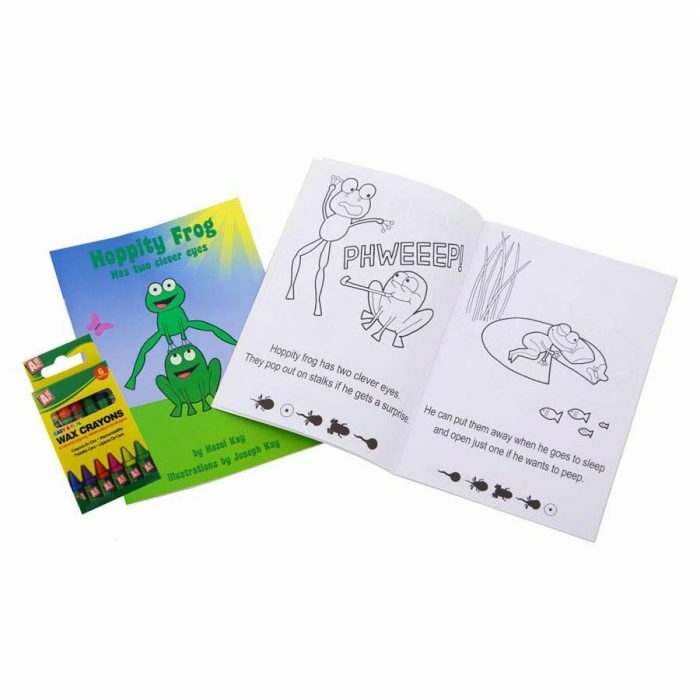 Our Hoppity Frog amblyopia book is designed to help children with amblyopia understand their patching treatment in a simple and fun way. At the bottom of each page is a a row of tadpoles at different stages of developing into frogs. The tadpoles are large on page 1 and get smaller throughout the book. As your child’s eyesight improves, they will be able to see more and more of the tadpoles correctly. The cheerful pictures and story of Hoppity and his friends provide a positive role model that can also be used in the classroom to promote understanding and empathy with a child who is being patched. The story book is a 20 page A5 booklet. You can read an online review of Hoppity Frog on Amblyopia Kids, a website and blog dedicated to creating awareness about lazy eye syndrome in children.